The Cover Up Duo…coming your way! Well you haven’t heard from me in a while, but I’m back – I have been busy putting together my new duo, The Cover Up, with my good friend Gerry Blair. 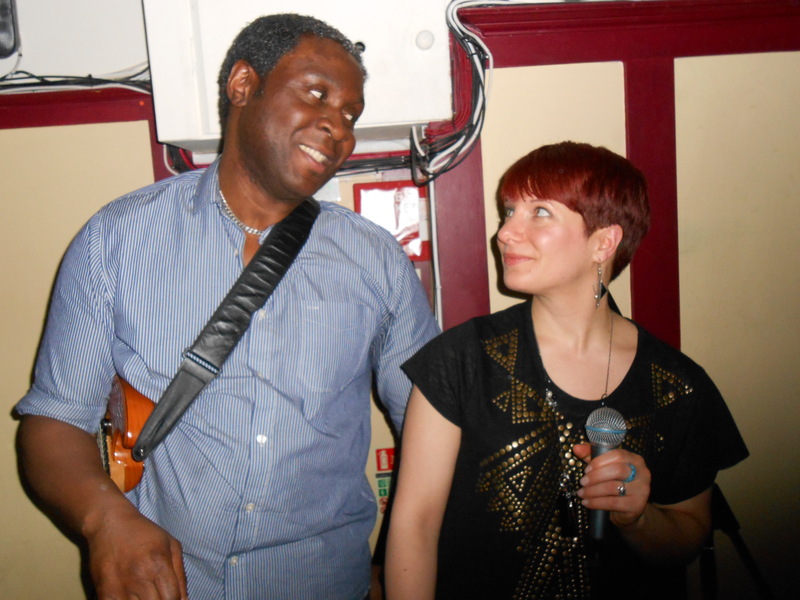 We perform together a mix of pop, soul, disco, and motown numbers, with lots of vocal harmonies and with Gerry playing guitar beautifully on top! Sometimes even a bit of flute! He is a master musician. For those that haven’t heard him sing yet, Gerry’s soft tones add a soulful feel to every song, and we have been told we work perfectly together! So watch this space for more info on gigs, both with the Cover Up and still as my solo act, Lisa Lee. Merry Christmas and a Happy 2013 to you all! So here we are at the end of another year! (Well almost, but I plan to be too drunk/full of food over the next few days to post again, ha ha). So thanks to everyone that has come along to see me sing in the last few years,2013 is looking to be even better as I keep increasing my song list, developing my vocal skills and even adding some wattage to the PA…woop woop! If you are around on Sunday, I’ll also be singing at the St Luke’s Hospice Harrow Christmas Fete – such a great cause, such dedicated and hardworking staff and volunteers…come and support them and meet Santa, get some more shopping done, eat nice things and of course…hear me sing again! Great for kids and adults alike, I definitely wanna meet Santa! Claremont High School, Kenton 11.30 – 3pm on Sunday 9th December.